The amount of roof-space required will vary depending on the size of the system you wish to install. For example, a 1.5kWp system will require about 10m2 of unshaded roof space. The system is modular, which means the panels can be arranged in the best way for the roof. 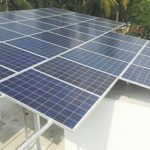 What type of Roof is required to set-up Roof Top Solar Panel? Whether it works in rainy days and winter season? The solar panels have a 25-year power warranty from the manufacturer but they can last up to 50 or more years. What else have you ever purchased for your home with that kind of warranty? The other major components (inverters, mounting system) generally have a 10 year manufacturer’s warranty. In a Clean Power, non-battery system, power is not stored. It is either used immediately in the house, or fed back into the electric grid for net metered, creating an energy credit on your account. Yes, solar works very well for commercial buildings. 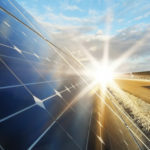 We install solar on office buildings, retail buildings, schools, and government facilities, airports – anywhere electricity is used, solar electricity can is beneficial. Whether the Subsidy is available through Central or State Govt? If any maintainance required solar panels? Installation will depend on the size of the solar power system being installed but typically takes anywhere between 4 and 8 hours. Increasing the size of your solar PV system depends on two factors: available space on your roof and additional capacity in your inverter. If there is sufficient space free for both, then you can increase the size of your system. If the capacity of your inverter has been reached, you could consider adding a second system to your roof.